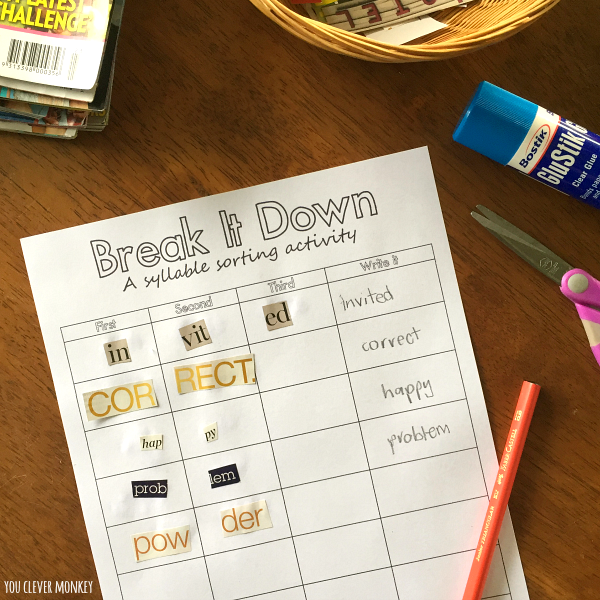 Looking for more literacy work station inspiration and ideas for Daily 5 Word Work? 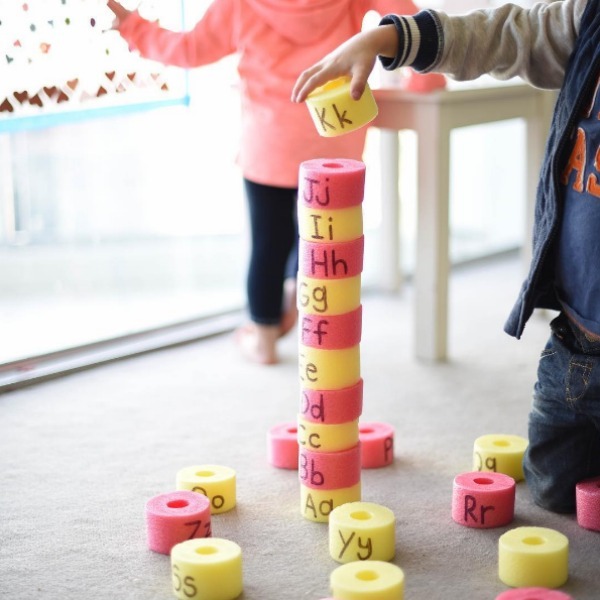 Literacy centres or literacy centers (if you live in other parts of the world) are a fun and engaging way to have young children practice those early literacy concepts intentionally taught during class in small group settings. You can see I've been creating literacy work stations in my classroom for the past few years. 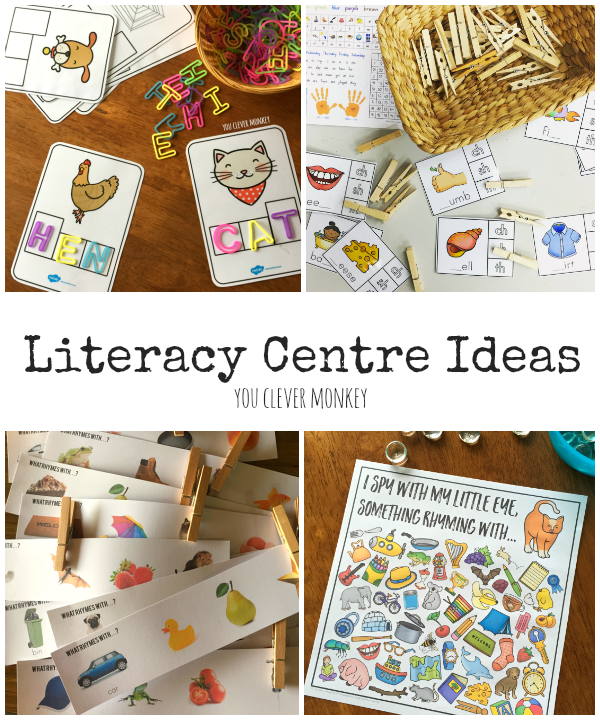 Every six months we share our latest literacy centers here on the blog. You can see our other posts here, here and here. Our literacy centres always incorporates some key focus areas - syllables, rhyme, beginning letter sounds, CVC words, letter recognition, sight words and developing vocabulary. They often have other skills (fine motor, co-operative or physical) built in to them as well. 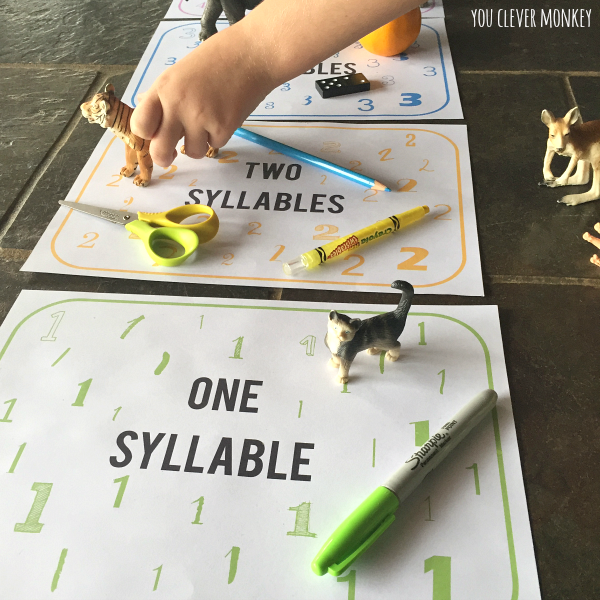 For younger children, sorting objects is a perfect way to practice counting syllables in words. You can find these free printable sorting mats here. 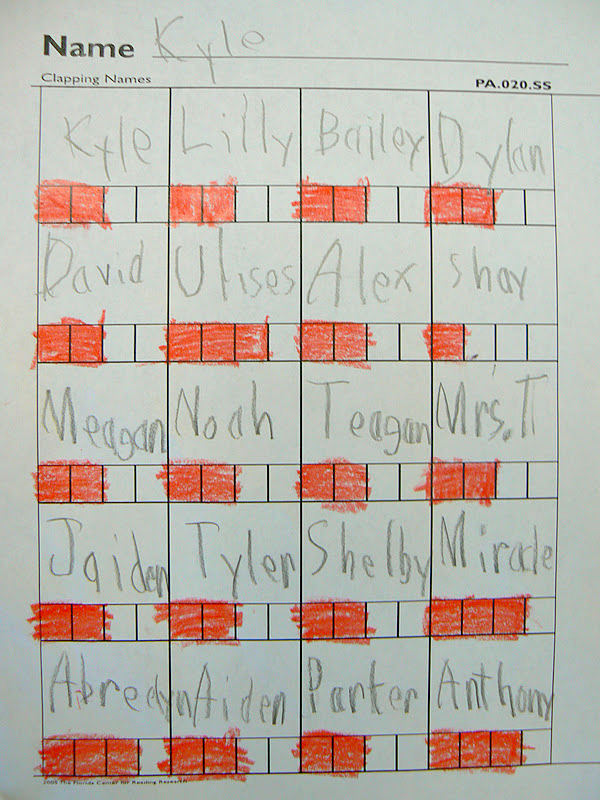 I love this idea from Mrs. T's First Grade Class which has students colouring in the correct number of squares. What a great way to learn everyone's name at the start of the year! Otherwise you could use use picture cards for younger students or focus word lists for older students. For older students, we've been doing some magazine sorts. They can find and cut out some words then break them into syllables. Again you could just print out a list of words to do the same. You can grab this free printable here. 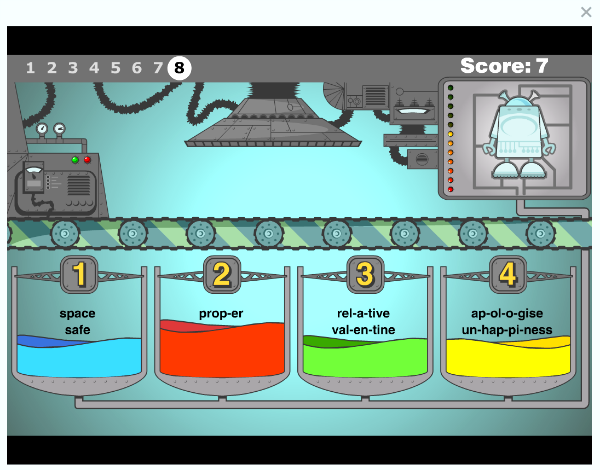 Another idea for older students is this free online game from the BBC - Syllables Factory Game. 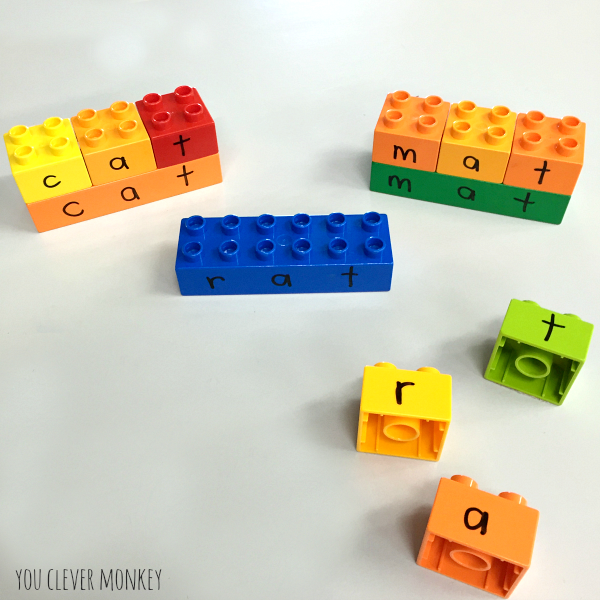 We've been using our Duplo blocks again but to build word families. Easy to create, I use Sharpies to write on the sides of the blocks to stop the writing from disappearing as they get used. When we're finished, I use a little bit of Aerogard to remove the permanent marker. 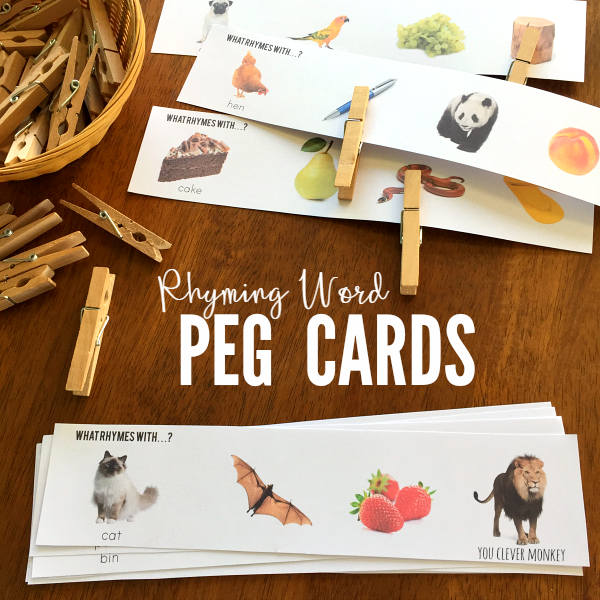 These rhyming word peg cards have been a perfect addition to our literacy centres. Great for being able to distinguish rhyme as they only provide three words to differentiate between. 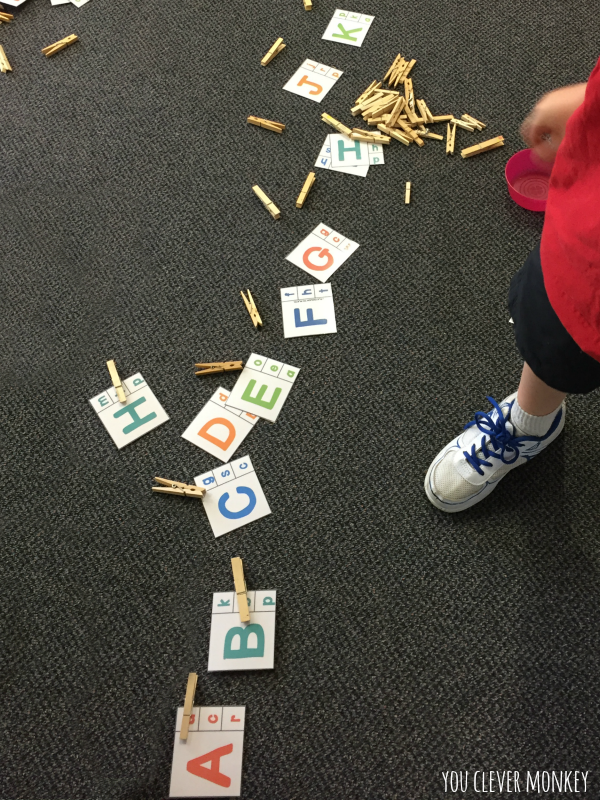 By using clothes pegs to mark the correct word, we are helping to develop the children's fine motor skills as well. You can find these cards here. We love these other peg cards from The Measured Mom too. 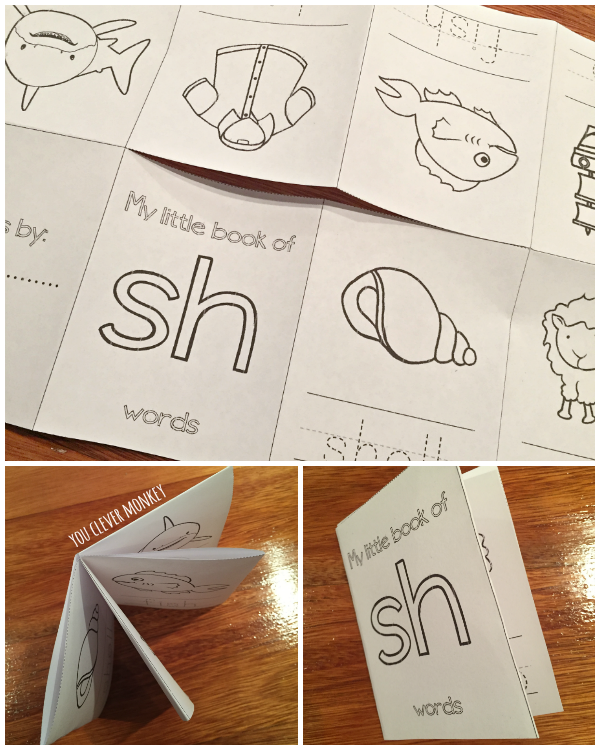 My students love games so I created these rhyming word family I Spy mats for our literacy centres recently. Some children are just searching for the rhyming words while others have been attempting to write the word as they find it. You can find these mats here. 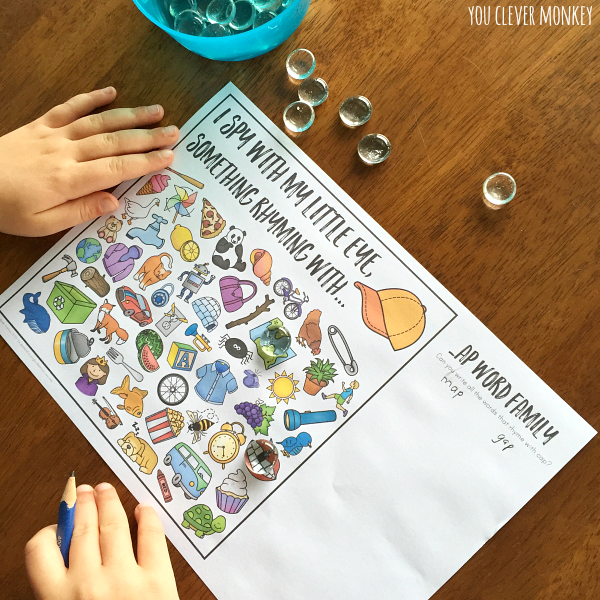 We've also been using these printable dice from This Reading Mama to roll and then write the rhyming words we can think of. You can find the dice here. Working on phonological awareness is always one of our centres each rotation. Earlier in the year I created these sound mazes. 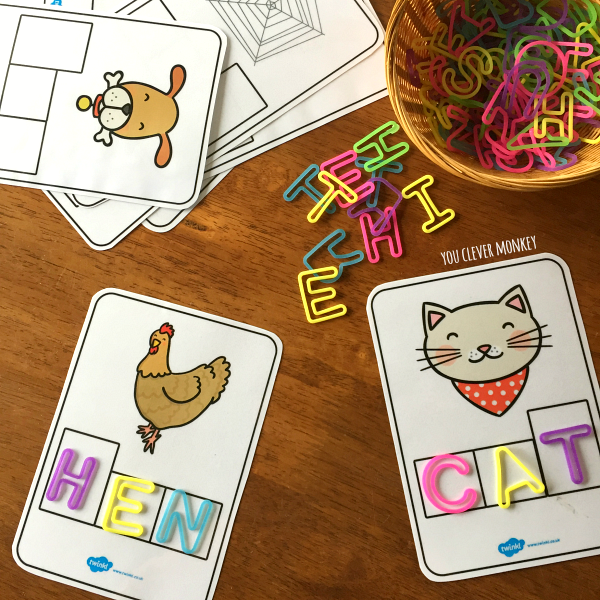 Children have to find their way through each letter mazes by correctly identifying the initial letter sound in each word. 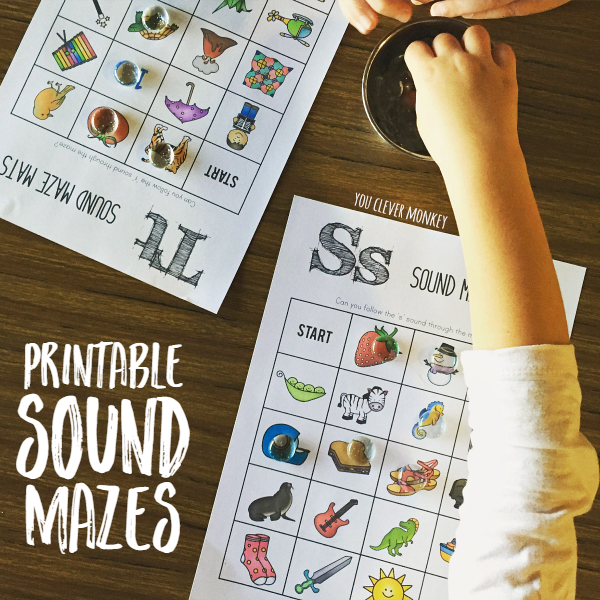 They've proved a fun way to practice our sounds. You can find them here. Our sensory-rich writing tray is still a regular in our classroom. We've used many different mediums to write in - sand, semolina, salt, kinetic sand, velvet but not sprinkles (yet). 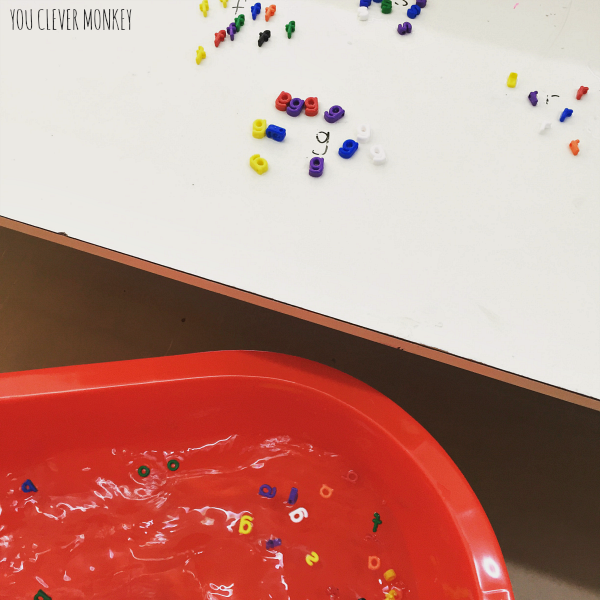 How inviting does this writing tray from Modern Preschool look! We also love playing this game on our interactive whiteboard. 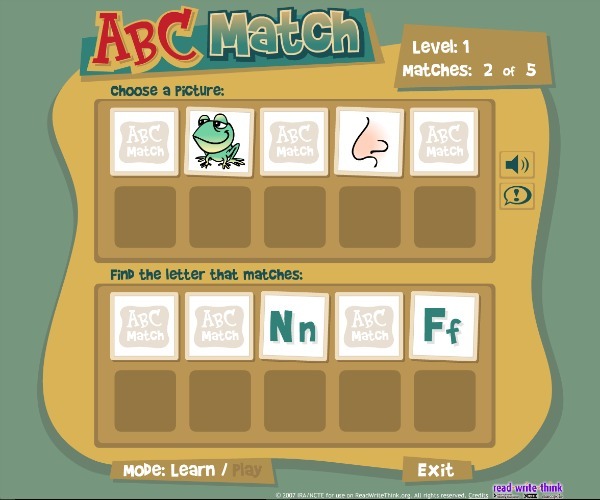 Their Picture Match game is another one we like for practicing beginning letter sounds. We still been using our free CVC cards from Twinkl in our literacy centres. Sometimes we use magnetic letters, sometimes we write on them or use our play dough. Sometimes we use our rock letters or our glass gems. Sometimes we use other manipulatives like these rubber band letters. I bought them years ago but everyone loves using them. 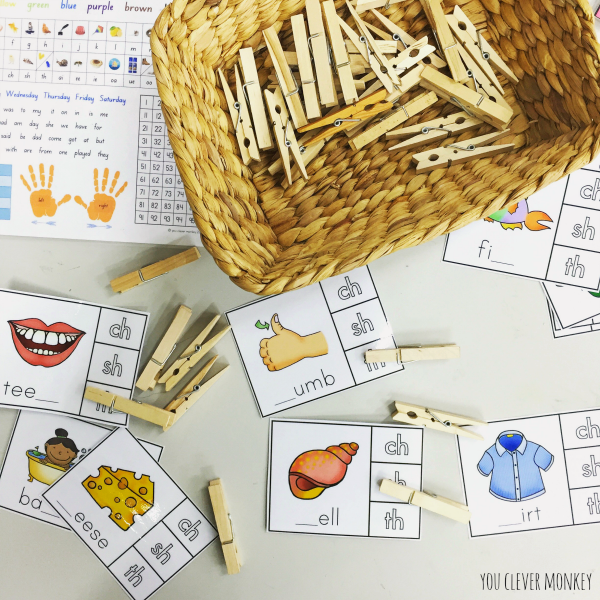 My students have always loved using the different peg cards I've collected but when it came to digraphs, I could find few resources to use in our literacy centres. Instead I created these peg cards for our work on the /ch/sh/th/ sounds. You can find these cards here. 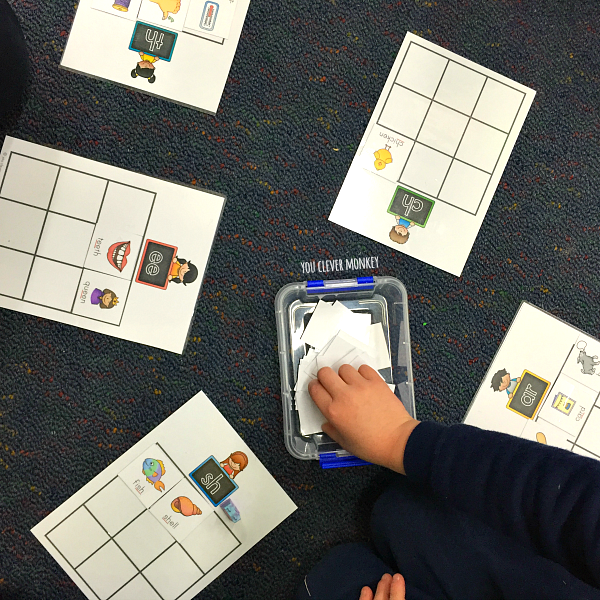 We also used some of our digraph picture cards to create our own BINGO game. 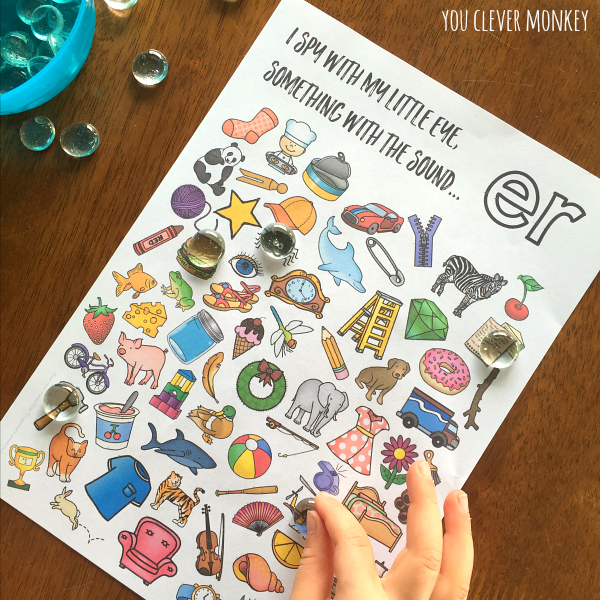 Given the enthusiastic response our rhyming I Spy cards got in class, I also made some different mats that focus on other sounds. You can find these here. Making mini books has been another way for us to focus in on the blends. You can find more of these here. This year, we contributed to an eBook, ABCs and 123s. It's a fantastic resource for teacher and parents alike. You can see more about the book here. 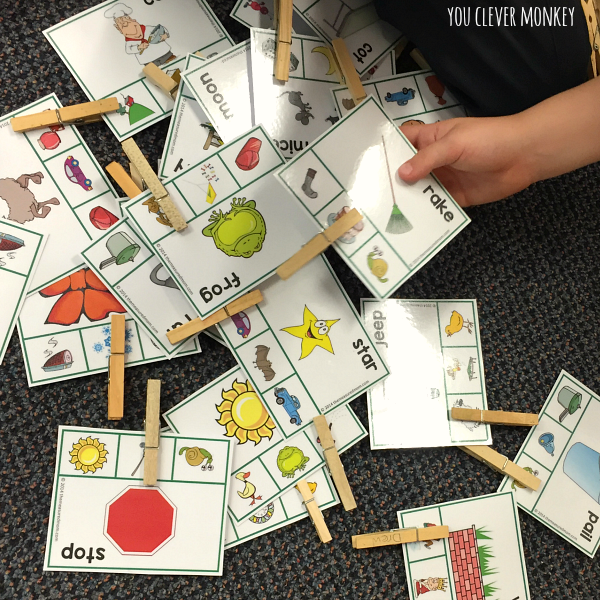 This letter sorting idea came from ABCs and 123s and it was a big hit with my class! 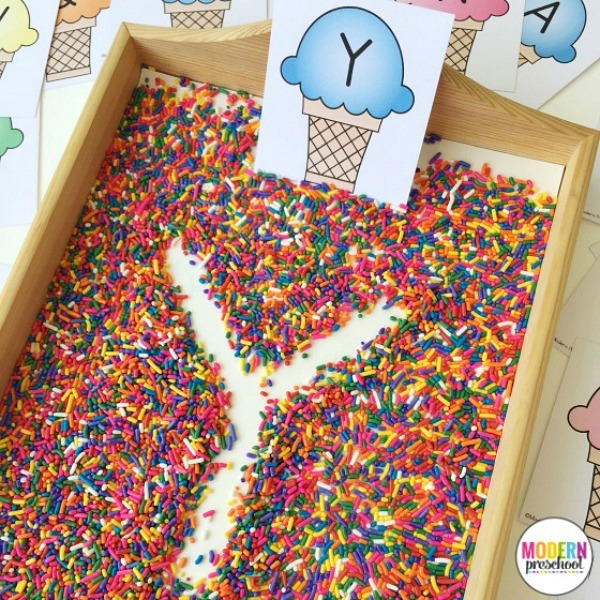 Instagram is full of inspiring ideas for use in literacy centres. Australian nanny Olivia from A Crafty LIVing is definitely one to follow if you work with young children. 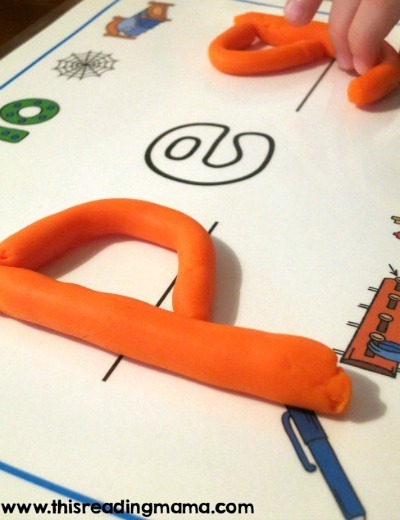 Here she created her own alphabet blocks from a pool noodle. Liv now has her own blog too. After using our alphabet clip cards to match upper and lower case letters from Playdough to Plato, my students then worked together to try and put them in alphabetical order. 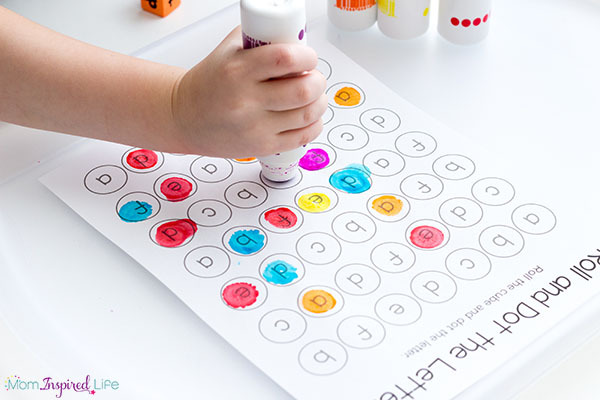 My students have enjoyed using our Do-A-Dot markers to roll and then find the correct letter. You can grab this free printable from Mom Inspired Life. Using objects for sorting is always popular. 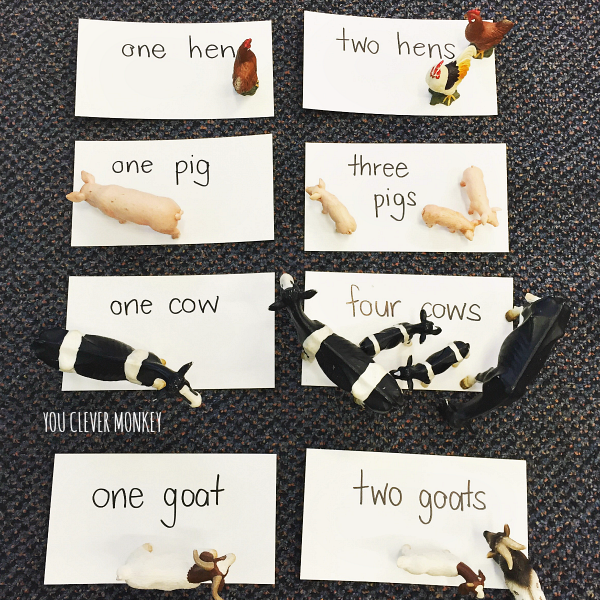 Here we used some of our Schleich animal collection and some labels for work on our understanding of plurals. Of course, play dough is another item always found in my classroom. 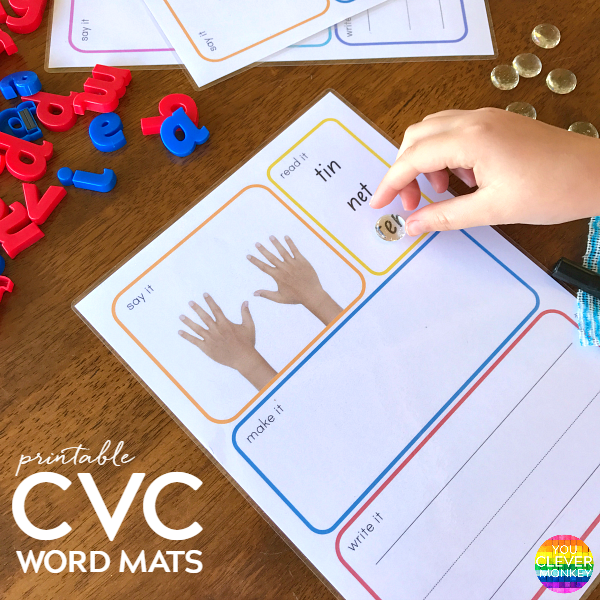 The children have enjoyed using their play dough together with these CVC word mats from This Reading Mama. 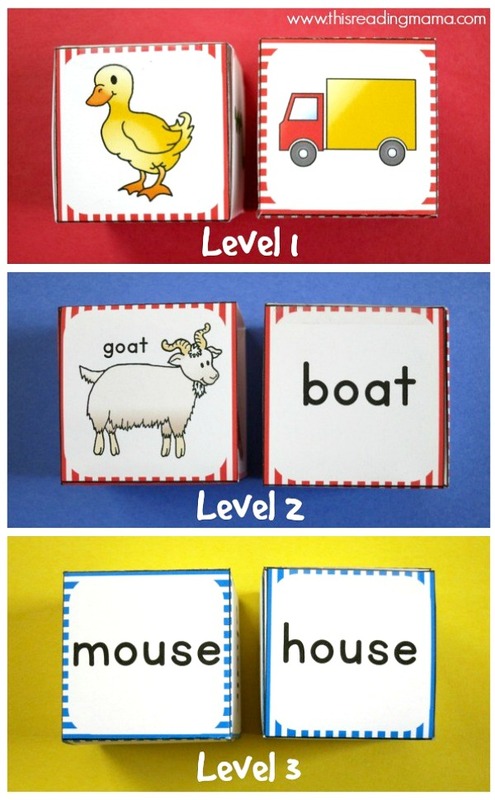 These mats are clever giving you just the middle vowel sound and then visuals along the top and bottom of the page as prompts to build the different words. You can find these mats here. With access to a small pod of computers each week, we've been using Keyboard Zoo 2 to work on our typing skills while learning about upper and lower case letters and typing short words. 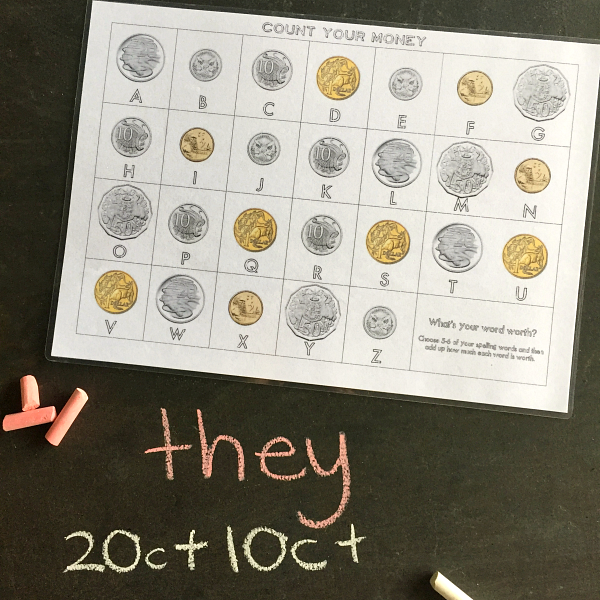 With my older students, we've been mixing in some maths with our word work by giving each letter of the alphabet a coin value. You could use a spelling word list for this or sight words. We used some blackboards for ours but whiteboards or scrap paper for working out the sums works too. You can grab your free printable here.